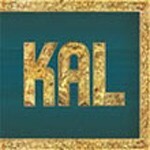 Kal is a contemporary Gypsy band from the suburbs of Belgrade. They have a rock attitude punched up with urban beats, but rooted in the Balkans. In their wit, imagination and ability to throw disparate sounds together they mark themselves as both part of Balkan Gypsy tradition and 21st Century lifestyle. Kal - the word is Romani for 'black' - were formed by the Ristic brothers - Dushan and Dragan - to confront the prejudices and clichés the Roma face. Bhangra rhythms appear, a violin dances around a two-step rhythm played on double bass, Hawaiian steel guitar drifts over a waltz, an accordion feeds a tango, all fueled but voices with an eastern European rappers touch. Stránka vygenerována 22.4.2019 v 23:02:27 za 0.258 sekund.